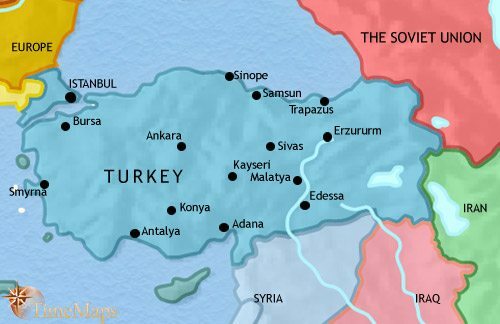 The Ottoman government has been weakened, both internally and externally. Trade is drawing Asia Minor into the orbit of Mesopotamian civilization. 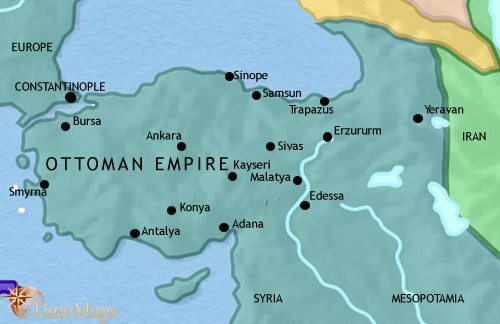 The Hittite empire in Asia Minor is one of the leading powers of the age. 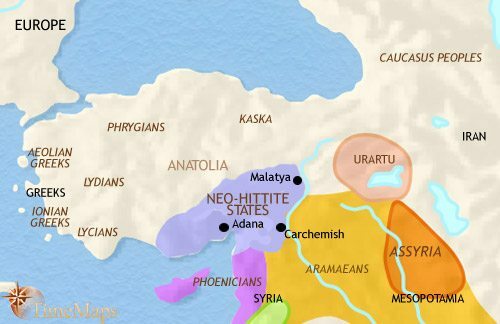 The Hittite empire has suffered catastrophe at the hands of barbarian invaders. For centuries a leading centre of civilization, Asia Minor is now part of the Persian empire. In the wake of Alexander the Great's conquests, Asia Minor is now divided between several Hellenistic kingdoms. The cities of Asia Minor have prospered under the peace which Roman rule has brought. The cities of Asia Minor remain prosperous centres of classical civilization. Much of Asia Minor has been devastated by continuous warfare. 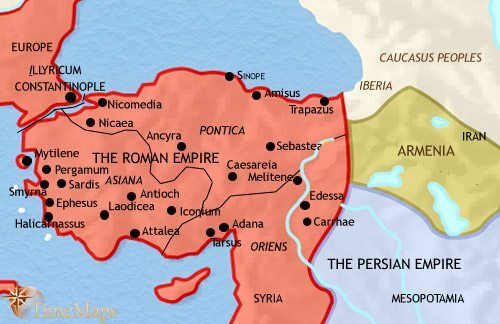 Asia Minor is the main recruiting ground for the army of the Byzantine empire. The Turkish sultanate of Rum now rules in Asia Minor. The Ottoman empire captures the great city of Constantinople. Asia Minor is the centre of the Ottoman empire, one of the great empires of world history. The Ottoman government has embarked on a remarkable programme of modernization. The Ottoman empire is continuing to modernize itself. The Ottoman sultans have maintained the modernizing policies of their predecessors. The Republic of Turkey was founded by Kemal Ataturk. Turkey is a stable and prosperous democratic republic. Repeated wars with Austria and Russia have lost the Ottomans the northern shores of the Black Sea, but have allowed them to regain territory in the Balkans. Ominously for the future, the Ottomans have been forced to concede to Russia, a measure of protection over the sultan’s Orthodox Christian subjects. Internally, the central government of the empire has been weakening, as provincial notables establish a measure of autonomy in their various regions. The central government is forced into playing off one group against another, and so maintains the integrity of the empire. The government has taken some steps to modernize the army and administration, but these have been fiercely opposed by the privileged, but now-decrepit, Janissaries, as well as by the Ulema, the religious establishment, who are deeply suspicious of any western influence. Well-used trade routes cross Asia Minor, tapping the mineral wealth of the region as well as linking the Sumerian cities of Mesopotamia with the peoples of Europe. As a result, much of the region is sharing in the civilization of the Middle East by this date. Sizeable towns, usually surrounded by thick walls, have appeared, showing that warfare is widespread. Over the previous millennium new peoples have settled in Asia Minor. 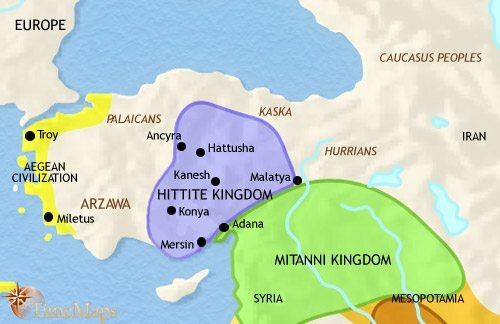 The Hittites are Indo-European speakers who have established a powerful, war-like kingdom in Anatolia. They owe much of their military success to a technology originating from their steppe homelands, the chariot. The kingdom has by this period reached a high level of civilization. Further west, on the Aegean coast, such cities as Troy and Miletus participate in the Aegean civilization, and have developed close links with Crete and mainland Greece. 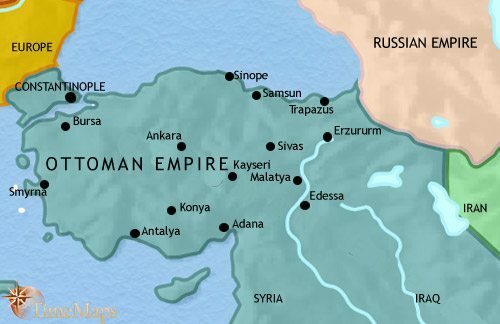 The Hittite empire has been destroyed by invaders from Europe, in about 1200 BCE. However, their civilization has been preserved in several small city-states in southern Anatolia. Small and weak though these are, it is probably here that the alphabet was first developed – a major step forward in civilization. On the west coast, the old cities have disappeared (Troy famously so) in the upheavals of the previous centuries which destroyed the Aegean civilization, and immigrants from the Greek mainland have settled the coasts and islands of the Aegean with their small, tribal communities. 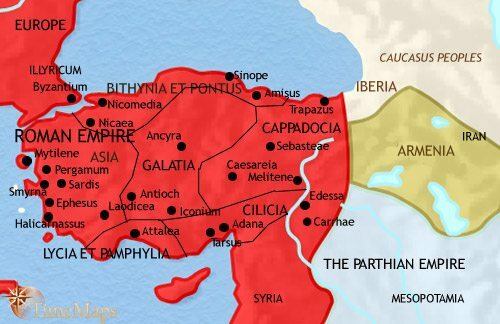 Since 1000 BCE Asia Minor has been the scene of competing kingdoms and empires for the past few centuries, but its strategic location for trade, as well as its mineral deposits, have enabled its cities to grow wealthy. The kingdoms of Phrygia and Lydia, with their legendary kings Midas and Croessus, were fabled for their riches. The culture of western Asia Minor was heavily influenced by the Greek cities on the coast, amongst the leading centres of Greek civilization. The cultural transmission between the Asia Minor and Greece has not been all one way, however. The kingdom of Lydia originated metal coinage, which spread from there to the Greeks. The whole of Asia Minor has now fallen under the dominion of the mighty Persian empire, and will remain so, on and off, for the next couple of centuries before falling to new conquerors. After 500 BCE, Asia Minor continued to be dominated by the Persian empire, off and on, until Alexander the Great drove the Persians out in the years after 334 BCE. After Alexander’s early death, the region came under the control of the Seleucids of Syria, but their hold on the region was never complete. Independent kingdoms soon covered much of Asia Minor. Despite this, Asia Minor was a major centre of Hellenistic civilization. After 200 BCE, Asia Minor increasingly felt the shadow of Rome falling across it, and from 133 BCE onwards more and more of it passed under Roman rule. By 63 BCE, after long years of severe warfare, the Roman general Pompey the Great completed the conquest of the region. All this time, Asia Minor remained a major centre of Hellenistic civilization, and would continue so under Roman rule. For the first two centuries of the Roman empire, Asia Minor experienced almost unbroken peace. Prosperity followed, and the large and wealthy cities of the region thrived, continuing as centres of a flourishing Hellenistic culture. In the century after 200 CE, Asia Minor experienced a taste of the chaos visited upon other parts of the Roman empire by Germanic invaders, but the 4th century was again a period of renewed peace. The region achieved added prestige as a major centre of the new official religion of the empire, Christianity. In the 5th century, Asia Minor, with its large and wealthy cities, was one of the leading centres of Graeco-Roman civilization; however, the coming centuries would see big changes. 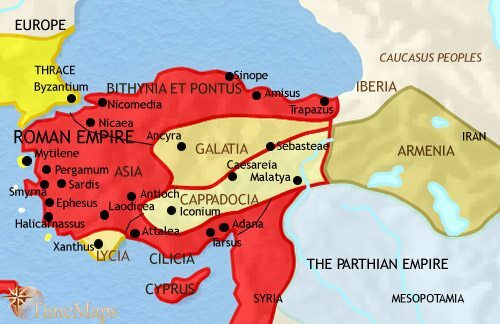 The wars between the Byzantines and the Persians in the 7th century, followed almost immediately by a century of Muslim raids and invasions, turned much of Anatolia into a devastated war zone. 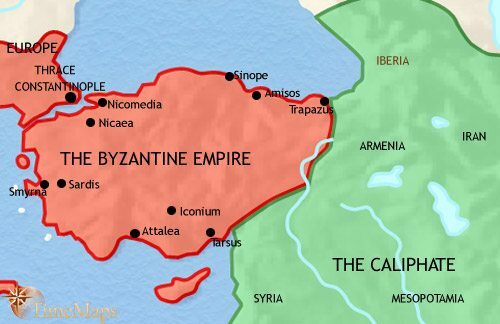 The population declined drastically, and, although the region remains within the Byzantine empire – and indeed, is the key recruiting ground for the Byzantine army – it ceased to be the location for numerous and wealthy cities. A new provincial system has been introduced into the region from the 630’s onwards, built around units of local government called “themes” . These are units of military administration, which organizes the local population as a type of militarized peasantry. This very effective defensive arrangement has kept the Muslim forces at bay. 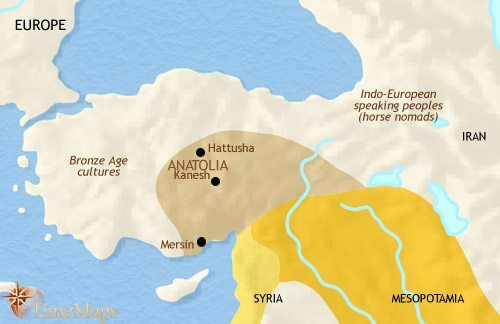 During the 9th and 10th centuries, Anatolia has experienced peaceful conditions. Trade and industry have revived and cities have flourished again. 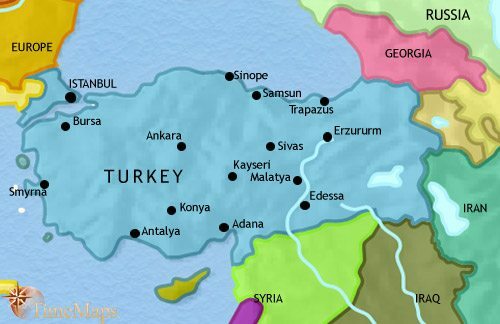 The “theme” system of military provincial government, introduced in the 7th century, and the militarized Anatolian peasantry on which it depends, has kept this region free from conquest by Muslim forces. 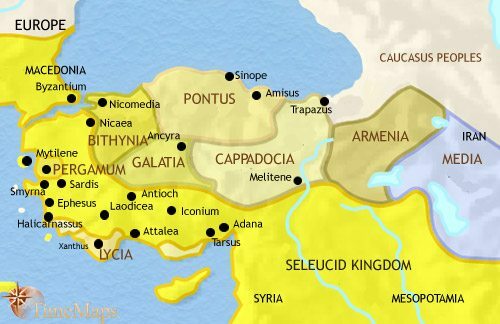 Anatolia remains a key part of the Byzantine empire, and has continued as the main source of manpower for the Byzantine army. Long-term social trends are at work which are undermining this situation, however. As time has gone on, local landowners have encroached on the land of independent peasants. This is undermining the ability of the Byzantine government to recruit soldiers from this source of manpower, and is forcing it to place greater reliance on foreign mercenaries. However, these trends have not yet totally ended the link between the tough Anatolian peasantry and the Byzantine army. 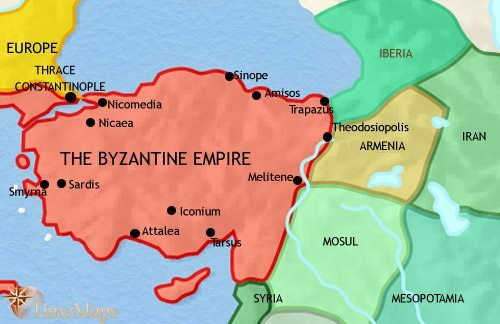 In the wake of the crushing defeat of the Byzantine army by the Seljuq Turks at Manzikert in 1071, the Byzantines lost eastern and central Anatolia. Tribal bands of Muslim Turks occupied the land, replacing or absorbing the native population of the region. With the break-up of the large Seljuq empire, a branch of the Seljuq clan founded the independent sultanate of Rum (“Rome”) in about 1080. 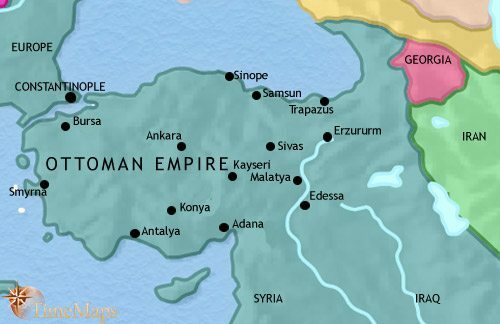 Since then, in wars against its Crusader, Byzantine and Muslim neighbours, this sultanate has expanded across most of Anatolia and become a powerful and wealthy state. The sultans protect and promote trade, which has expanded due to the Crusader’s demand for luxury goods from the east. The court uses Persian as its official language, and is a major centre of Persian culture. The sultanate’s bureaucracy is staffed by Persian officials. The army, however, is mostly composed of Turkish tribesmen, often more loyal to their local chieftains than to the sultan. In Asia Minor, the Seljuq sultanate of Rum suffered a destructive invasion by the Mongols (1293), and quickly fell apart. 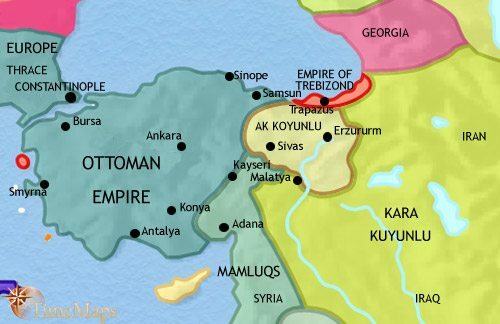 It was succeeded by numerous military chiefdoms under the control of Muslim Turkish warriors, called ghazis, committed to fighting against Christian Byzantium. One such ghazi, called Osman, established himself in a leading position on the Byzantine frontier. 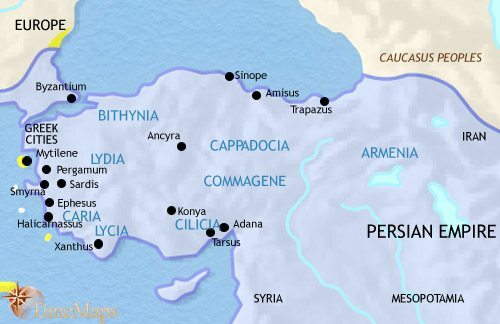 His successors captured the historic Byzantine cities of Nicaea (1331) and Nicomedia (1337), and had soon annexed the whole of north-west Anatolia, once the heartland of the Byzantine empire. From there, they crossed into the south-eastern corner of Europe and moved up into the Balkans. 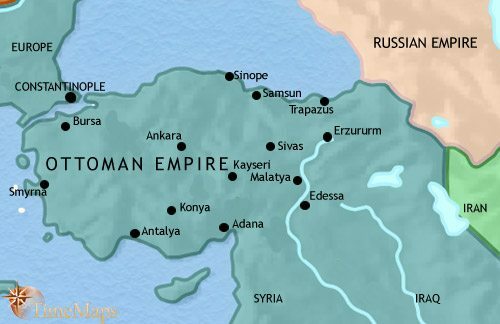 The growth of this state – known to history as the Ottoman empire – was interrupted by a disastrous defeat at the battle of Ankara (1402) at the hands of Timur. However, the Ottoman sultans soon re-established their control, and reorganized their military forces around their fearsomely efficient palace army, the Janissaries. With this new force the Ottomans resumed their conquests, and this year, under sultan Mehmed II, the Conqueror, they capture the city of Constantinople, finally extinguishing the Roman Empire and sending a shock wave throughout Europe. Asia Minor is the centre of one of the great empires of world history, the Ottoman empire. After the capture of Constantinople (in 1453) the Ottomans continued their dramatic expansion, conquering Syria, Egypt and the Hejaz (1516-17), North Africa (1526), and Iraq (1555) and, in Europe, pushing the frontier far north, destroying the Hungarian army at the battle of Mohacs (1526), and going on to besiege Vienna, in the heart of Europe (1529). 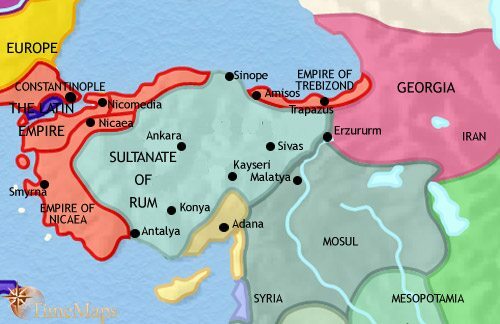 The siege failed, and after Suleiman the Magnificent (reigned 1520-66), a succession of weak sultans ruled, under whom factionalism and corruption impacted upon the sound running and military effectiveness of the empire. The empire also experienced some economic decline, resulting from the diversion of trade away from the Middle East by European ships. 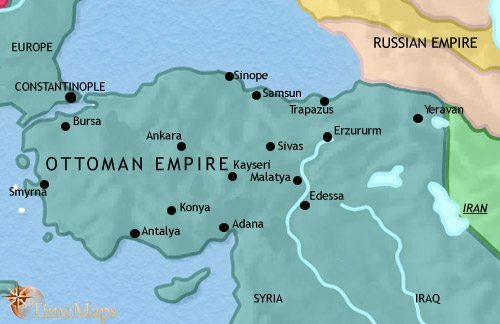 Nevertheless, the empire has continued to expand, in both Europe and Africa, and reforming sultans, Osman II (1618-22) and Murad IV (1623-40), have done much to rectify matters. They have countered corruption, encouraged trade, industry and agriculture, and restored the efficiency of the army and administration. By the time Sultan Selim III (1789-1807) came to the throne, the Ottoman state was in dire need of modernization if it was to stand any chance of standing up to the European powers which were now threatening it. Selim attempted reform, but his moves in that direction were met by fierce opposition from Janissaries and the Ulema, and eventually he was dethroned. His successor, Mahmud II (1808-39) has also been aware of the need for reform, but initially moved more cautiously, working to gain the support of the Ulema. When he was ready, he struck against the Janisseries, ruthlessly eliminating them (1826). The Ottoman government has since embarked on a remarkable programme of modernization. The old feudal (“timar”) system has been abolished, and the army and administration have been westernised. The government’s authority has been re-imposed on the central provinces, though some regions such as Greece and Serbia have seceded, either officially or unofficially, with European connivance; and the first steps are being taken to westernise education – initially to provide western-trained officers and surgeons for the army. These reforms have largely allowed the Ottoman government to retain the integrity of the empire, in the face of sustained hostilities from Austria and Russia. The last few decades have seen the Ottoman empire take important steps to modernize itself with a wide ranging series of measures, known as the “Tanzimat Reforms”. These have built on the foundations laid by Mahmud II, and have affected the army and the administration, education, which has been westernised and expanded, and the law, with the promulgation of a series of European-style law codes. At the same time, central government authority has been re-imposed on much of Syria and Iraq. The Ottomans have seen their territory much reduced by wars against Russia and Austria, seeing the loss of Serbia, Montenegro and Romania in 1878, and after the Balkan Wars of 1912-13, most of the rest of their European territories. They have also had to accept European interference in their internal affairs, with the British taking some control over government debt. The sultans veered between constitutionalism and a traditional, even brutal, despotism, until a coup led by young, western-educated officers called the “Young Turks” (1908-9) installed a constitutional (but still authoritarian) government. Throughout the period, successive governments have maintained the modernizing policies of their predecessors. Turkey has acquired a network of railways and telegraphy, a greatly expanded education system, and a modern-style press. In World War 1, the Ottoman empire fought on the side of the Central Powers. During the war, an estimated half a million Armenians, suspected of sympathizing with their Russian co-religionists, were massacred. Defeat was followed by the dismemberment of the empire. In the post-war disorder, general Mustafa Kemal seized power. The sultanate was abolished (1922) and, the following year, Turkey was declared a republic, with Mustafa Kemal its first president. Kemal – now known as Kemal Ataturk (Father of the Turks) – established an authoritarian regime, and opted for secularism and modernization. On Ataturk’s death in 1938, he left a stable country, and was deeply mourned. Turkey remained neutral during World War 2, and since the war, the threat posed by her giant neighbour to the north, the Soviet Union, has placed Turkey firmly in the western camp in the Cold War, being a member of NATO. This has led to massive military and economic aid from the USA, as well as to political liberalization, with restrictions on freedom being relaxed and multi-party parliamentary democracy being introduced. In 1960 a deteriorating economic situation in Turkey brought about a military coup. The army leaders introduced a new constitution, and then withdrew from politics. In 1970, with political violence and social disorder mounting, the army again stepped in, only to withdraw from politics again in 1973; they returned again in 1980, after a decade of weak parliamentary government. The army leaders then introduced a new constitution, giving wide powers to the president. A period of political stability and economic prosperity has followed, but a Kurdish separatist movement has been an increasing cause for concern. This, together with the activities of militant Islamic groups, has posed a challenge for the Turkish government. Since 2002 a mildly Islamic party under Recep Erdogan has continued to give the country stability and growth.